Users expect high performance—even on mobile devices, where latency can slow content delivery. But as mobile devices become the instruments of choice for engaging online, companies must learn how to tune their digital experiences for variable bandwidth environments. Deliver content to mobile users more quickly by using a distributed delivery network. Reduce middle-mile latency by storing objects closer to the end user. Decrease the time users wait for images to load by using image optimizations. Reduce queuing and buffering with TCP acceleration to keep more packets in flight across more POPs. Join us for practical advice and real case studies that demonstrate how to create exceptional digital experiences for your mobile users. Steve has worked in the streaming and content delivery networking (CDN) industry since 2008 and has a strong software project management and web-application programming background. As a Principal Architect for Limelight Networks, he enables Limelight to understand how its services perform from the outside in, and from the inside out. Using "Real User Measurement"� data, alongside synthetic and system-wide monitoring services, he leads development of products that ensure consistent high-quality content delivery worldwide. 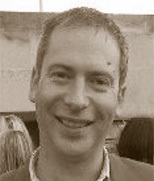 Prior to joining Limelight, he was COO of Global-MIX, which won the Streaming Media "Best CDN in Europe"� award in 2009. He lives in Brighton, UK, where his young family keeps him very busy and covered in pink things and glitter, but he finds time to cook. occasionally write music, and contribute to www.thethursdaynightshow.com.